Most of us think we’re pretty creative, but few decide to use this creative talent to generate an additional income. What many people don’t realize is that they can actually make some money selling their designs online on different products. 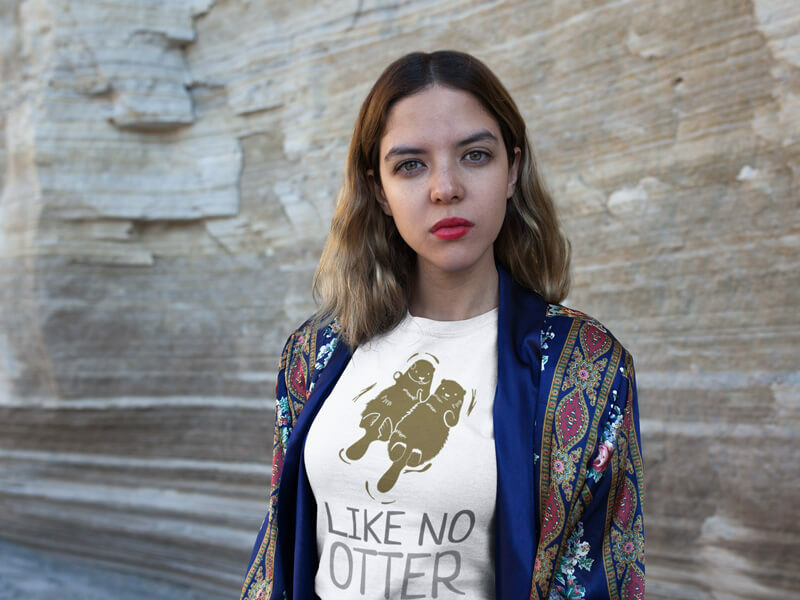 While selling t-shirts online is a great option for the designers who do participate in this market, there are plenty more products you can get your designs printed on. Since there are numerous print on demand websites, there is no doubt you will find at least one that sells the products you want to customize. The best part is that you don’t have to worry about doing any of the work beyond creating your designs and uploading them to your choice POD website. Create Your Own T-Shirt Designs! Although it’s not uncommon to see custom t-shirts being sold online, you’re definitely not limited to this one product. In fact, there is a huge range of products you can choose from that are sold by different POD sites. Want to sell mugs featuring your designs? What about customizing hats? Have you ever considered putting your designs on a water bottle? 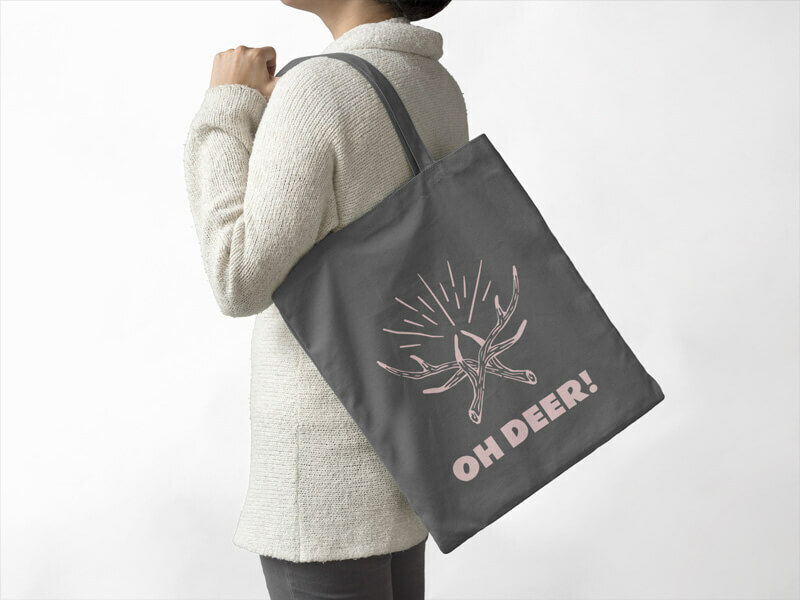 What would your designs look like on a tote bag? We know what you’re thinking. Coming up with a creative design, getting it printed on your products, keeping an inventory of it all, and handling shipping sounds like too much work, and you’re right. The best part of selling your products in a POD marketplace is that you don’t have to worry about any of that! All you have to do is create your designs, upload them to your profile, and select the products you want these printed on. The POD service will take care of processing payments, printing, shipping, and anything else that may come up during this process. There are a lot of print on demand services out there, but luckily we have a handy guide to help you find your perfect match or matches. Apparel is probably the most well-known category among sellers and customers because it includes the ever-popular t-shirt. 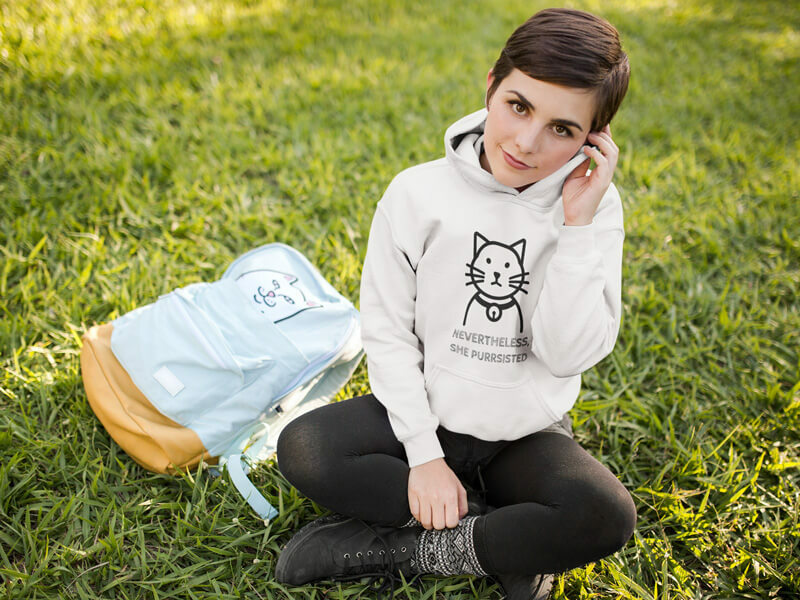 Other products that fall under this category include hoodies, long sleeve tops, onesies, socks, tote bags, flip flops, and even pet accessories. When adding apparel products to your line, think seasonally. For example, when summer is coming up you may want to include custom crop tops or flip-flops to your line. Device cases have become very popular as the need to customize electronic accessories has grown through the years. There are now not only phone cases to customize with your designs, you can also put these on phone wallets, tablet cases, and laptop sleeves or cases. 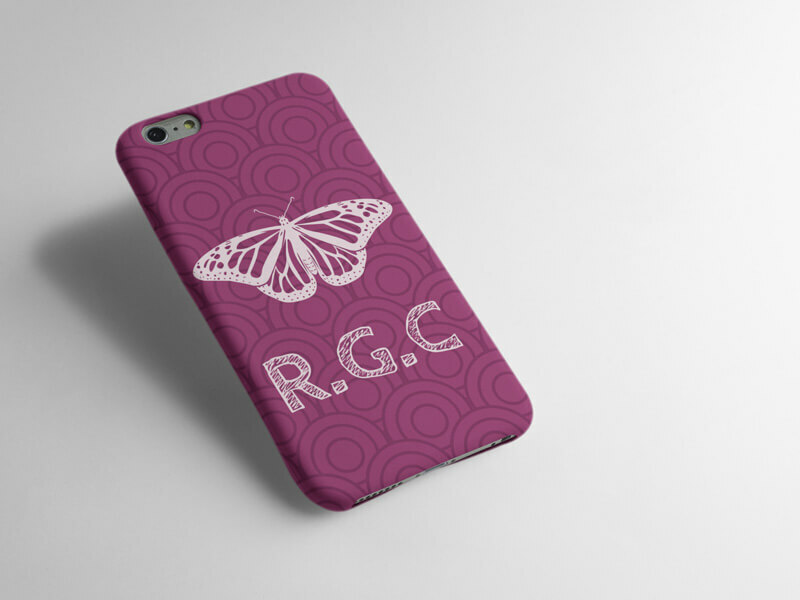 To ensure your phone case designs attract attention, use iPhone case mockups to show them off. Design-conscious stationery is huge whether you’re a student looking for fun school supplies or a professional looking to give your office tools a stand out look. 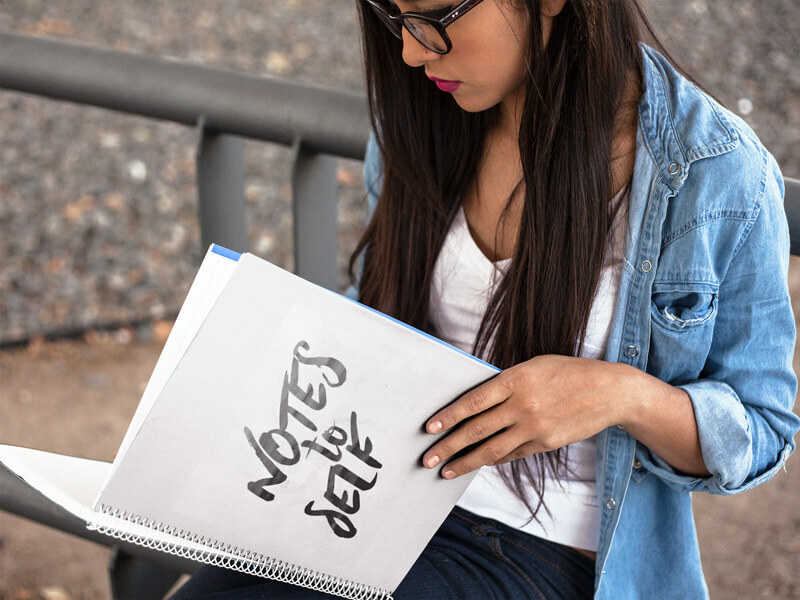 POD sites offer many different stationery items, including notebooks, stickers, calendars, wrapping paper, and even greeting cards. Home decor is another popular category to consider since many homeowners are looking for unique items to decorate their home with. 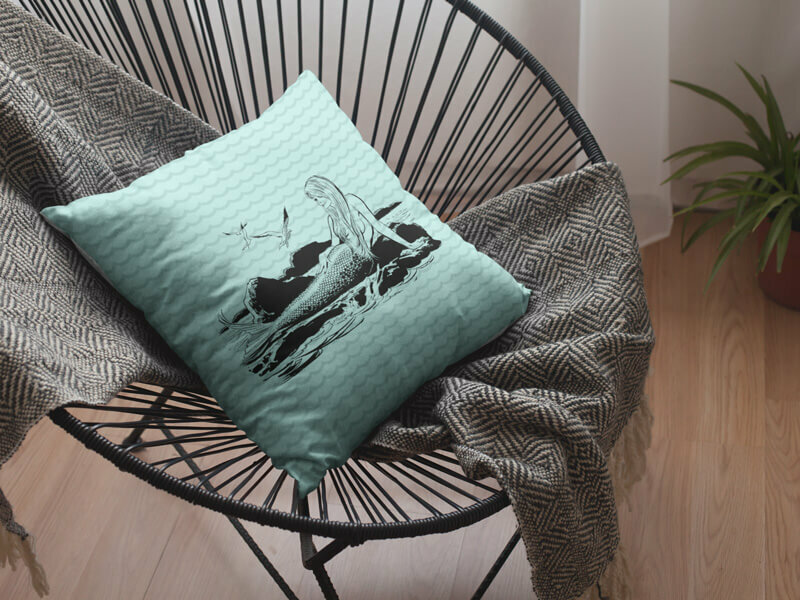 Home decor products to consider include pillows, duvet covers, mugs, and wall art or tapestries. Customizing your products may sound difficult, but it really isn’t. You can use your own designs and upload them to your choice of POD website, just make sure the file formats and sizes are correct. If you don’t have design software, there are plenty of online resources you can use. Placeit’s design templates are a great option for those who have tons of t-shirt design ideas but minimal design skills. The templates provide everything you need, from different fonts to graphics for every occasion . The best part is you can also choose from preset size settings, which will ensure your designs are the perfect fit for the product you want to customize. Once you have a design that is ready for use, all you have to do is put it on a mockup to see what the final product will look like. Using product mockups like Placeit’s apparel mockups is a great way to show off your designs and garner a larger customer base. Not only will you get a better idea of what your final product will look like, your customers may find these images a lot more appealing. They can help your product look more professional, helping you to increase sales. Whether you sell your products through a POD service or print them yourself, using mockups is always a good idea. The great thing is that they aren’t limited to just apparel, you can also use them to increase your art sales online. Many POD sites use their own mockups, but if you’re planning to sell outside of these and in your own online store, these can come in very handy. 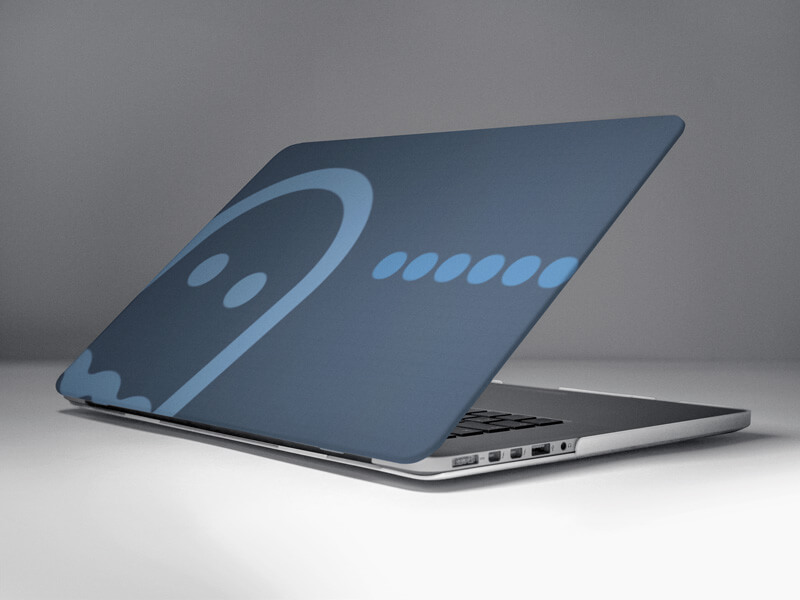 Mockups use different models in a variety of settings, allowing you to chose images that suit your product best. Make Your Own Apparel Mockups! Although there are tons of products to choose from, there are definitely some that sell more than others. The key is to find your market, make designs that are geared towards that market, and ensure that these designs are printed on products that make sense. If you’re looking to expand your print on demand product line, there are a few standout items that customers generally search for. With a bit of research, you can discover what products sell best, helping your venture be even more successful. 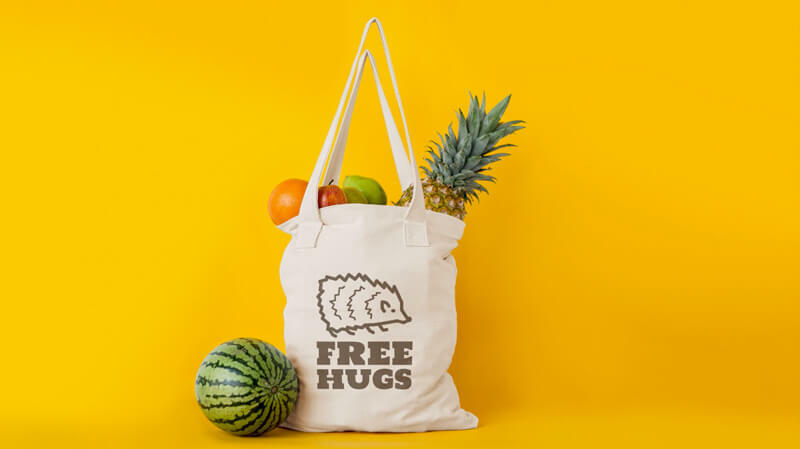 When browsing POD and dropshipping websites, it’s easy to notice that t-shirts, hoodies, hats, mugs, stickers, notebooks, phone cases, posters, and pillows tend to be the most popular items offered. 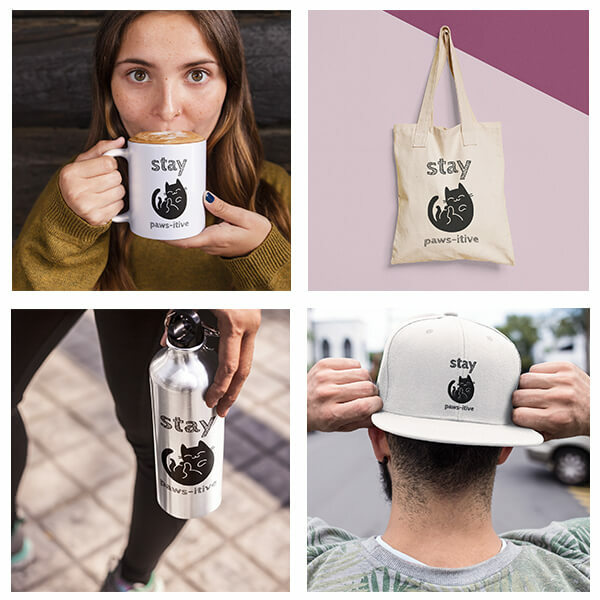 You can find mugs, tote bags, water bottles, hats, and many other products for sale on POD websites. What Websites Sell Print on Demand Mugs? What Websites Offer Print on Demand Hats? Print on demand hats are a great option if you want to offer more than just t-shirts but still include more apparel items in your range. These are also easy to find since the majority of POD websites offer them in a variety of styles. Most POD websites that offer them include different styles like snapbacks, dad hats, beanies, and caps. What POD Sites Have Print on Demand Long Sleeve T-Shirts? What Websites Offer Print on Demand Towels? Where Can You Find Print on Demand Stationery? What POD Websites Sell Print on Demand Canvas Prints? As we mentioned earlier, there are tons of POD websites that offer these products, so these are only a few suggestions that can guide you in your new venture. If you’re looking for a more complete guide to the products offered by print on demand websites, this table can help you find your perfect match! Simply type in the kind of product you want to sell, what printing method you’re interested in, or any other criteria and the table will sort out your options for you. Not sure how to use the table? We’ve included an informative video that can make it much easier to use. Check it out below! When working with a print on demand website, many will sell your products directly in their marketplace. If this isn’t quite what you’re looking for, drop shipping may be the right solution. With a drop shipping website, you can run and market your own online shop while having the the drop shipper print and ship your orders. This means you can run your own shop while still having a wide range of products to choose from without the stress of having to print or ship your orders. Check out our Ultimate Drop Shipping Websites Directory to explore some of your drop shipping website options. Now that you have this information, you’re ready to start designing and selling your products. 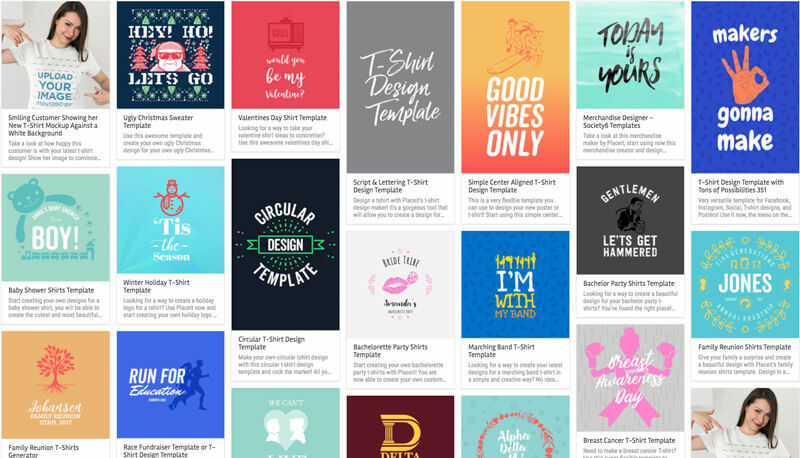 Creating attractive designs has never been easier thanks to Placeit’s T-Shirt Design Templates! They include different font options and a wide array of graphics for you to choose from! Check them out and create as many designs as you can come up with! Placeit is constantly creating brand new templates so you never run out of ideas! If you are looking for some holiday designs you can look at our 31 Christmas Gift Ideas for POD Sellers for some really cool ideas on Christmas designs. 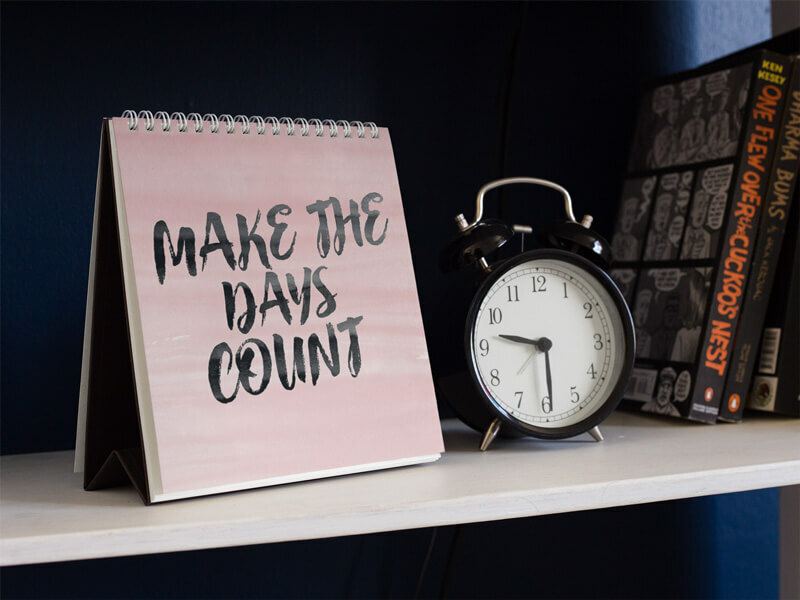 If you're looking to offer a broader range of products in your online shop, this post can help you figure out what print on demand products will yield the best results. From where to find product mockups to what POD sites offer the products you want, this post has it all! Create your own designs now! "My apparel designs look great thanks to Placeit's design templates!"